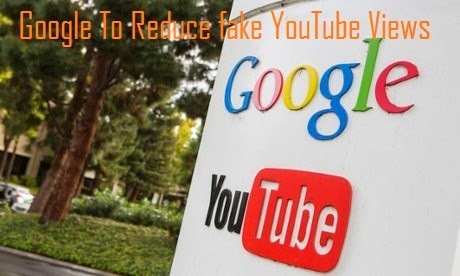 Google has recently noticed huge number of fake views for videos shared on YouTube. Google referred it as "fraudulent" views and warned several users also. As per Google reports, there are various tools available online for people to redirect or buy views. It is also found that there are a number of third-party marketing firms that do sell fake YouTube view to content creators for considerable amount per work. As part of our long-standing effort to keep YouTube authentic and full of meaningful interactions, we've begun periodically auditing the views a video has received. While in the past we would scan views for spam immediately after they occurred, starting today we will periodically validate the video's view count, removing fraudulent views as new evidence comes to light. We don't expect this approach to affect more than a minuscule fraction of videos on YouTube, but we believe it's crucial to improving the accuracy of view counts and maintaining the trust of our fans and creators." So this is the effort by which Google is trying to ensure that advertisers won't gather to other social networking websites such as Facebook and Twitter. Lets see how Google can authentic YouTube views.